I’m not sure where to begin explaining my wonderful time spent teaching in Fiji. I’ll start by explaining who I am and why I chose Fiji and Projects Abroad. My name is Aaron; I am from the United States of America, and I graduated from a local University just weeks before my departure to Fiji. I came across Projects Abroad after searching through countless volunteer organisations and found that Projects Abroad went above and beyond in helping me organise my trip (in such a small time frame might I add – just 3-4 weeks from my registration to arrival). Why Fiji? Why not?! I was informed that Fiji was a new location for the organisation and though that added some level of anxiety to the journey, the idea of teaching in a far-corner of the world intrigued me. As it turns out, I was one of the very first volunteers to arrive in Nadi, Fiji with Projects Abroad. 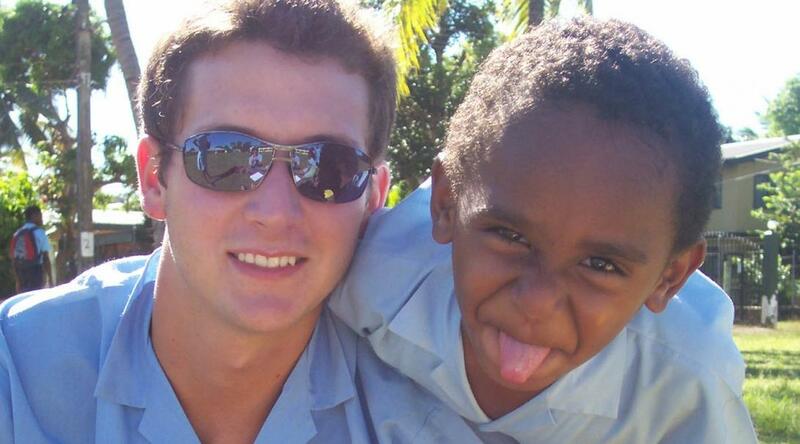 I began teaching at Andrew’s Primary School in Fiji just 3 hours after my plane landed…by choice! I worked with a handful of children, one-on-one, developing their reading, speaking, and writing skills for two days there (which was the tail-end of a “summer school” type programme). After that programme ended, I was placed at Nadi Christian Academy where I remained for the duration of my stay in Fiji. I lived on the same street as Nadi Christian Academy (NCA) with a widow (Anna), her son (Wilson), and her daughter (Tina). I also had several roommates from all over the world there – one from the U.S., one from England, and one from Canada. Anna was an amazing cook and her children were very lively and a pleasure to be around. I really enjoyed my stay there and did not feel homesick at all. I arrived at NCA to find that it had recently been devastated by a flood. The bottom floor of the two-story complex was completely destroyed by the rising waters. Many desks, books, utensils, and teaching materials were ruined. With only 3 Fijian teachers for Kindergarten through 8th grade (yes, only 3 teachers! ), the school was very appreciative of my services. Though I had no formal training as a teacher back home, I immediately took to the students at the school – as did they to me. I was instantly given the title “Master Eroni” or “Master Aaron” as the English translation and was assigned to teach grades 7 and 8 English. Ultimately, however, I agreed to teach all subjects because of the poor state of the school and lack of teachers. I began by telling the students about myself: where I am from, what I do for fun, what my family is like, and why I came to teach them. They were very enthusiastic about my presence and asked loads of questions. After that, I formulated a curriculum for the class and even created an “incentive” chart in which the students would earn stickers by completing homework assignments or earning better than 90% on exams. I recommend doing this if you teach anywhere because the kids absolutely loved it! Nearly every student had some basic understanding of the English language (though to varying degrees – some did not speak it at all and some spoke it perfectly). I will elaborate a bit on my English lessons to give an idea of what a typical day included. I gave the students homework every night. Usually I would combine their scripture lessons with their English lessons by having them write an essay (after classroom instruction) about a given spiritual topic. This worked very well. Also, the students could expect at least 2 or 3 vocabulary exams from me each week. When introducing the vocabulary I often played a game with them such as hangman. My favourite exercise for introducing a new, large vocabulary word worked like this: I wrote the word across the blackboard (ex: “EXECUTION”), then had the students use the letters of the word to find as many smaller words as they could in 5 minutes (ex: “CUT” “TON” “TIN” “CUTE” etc.). After that, I would help them learn how to pluralise those words by asking if the plural form of each word should be made by adding an “s” or an “es” to the end of the word (ex: “CUTS” vs. “CUTES”). Finally, I would explain the whole word – “EXECUTION” – by giving the definition and several examples of how to use it in a sentence. Then, the word “EXECUTION” was added to vocabulary list for the exam. Other topics included: direct vs. indirect quotations, use of pronouns, pronunciation, use of commas, writing creative fictional stories, detailing a hypothesis, writing a 5 paragraph essay, how to support an argument with quotations, etc. Outside of the classroom I taught the whole school (about 150 students) how to play ultimate frisbee and kickball. They had never heard of either of these sports before so it was challenging to explain the rules but they were very interested in learning. I particularly enjoyed this time spent with the kids because my degree is in exercise physiology. During lunch and recess we would often play games and share jokes in the school yard. This was a great way to get to know the students. We became very close over the course of my placement. On my last day of teaching, my students threw a surprise party for me! We had cookies and juice and they even gave me a few souvenirs to take home (a stuffed animal, several bracelets, a t-shirt, and notes that read “Do not open until you get home” on the outside). Ultimately, I promised the students and my host family that I would return to Fiji in 2-3 years. I fully intend to keep that promise. Overall, the Projects Abroad Fiji experience changed my life. It offers so many things for the volunteer; you learn from the students, you learn from the other volunteers who are from all walks of life, you learn from your host family, you can learn a new language, you teach others about yourself and most importantly, you learn a ton about yourself by living with and helping others. Not to mention the amazing excursions you can do in your free time for very cheap! For these reasons and many more, I highly recommend the volunteer experience in Fiji to anyone interested in travelling with Projects Abroad.